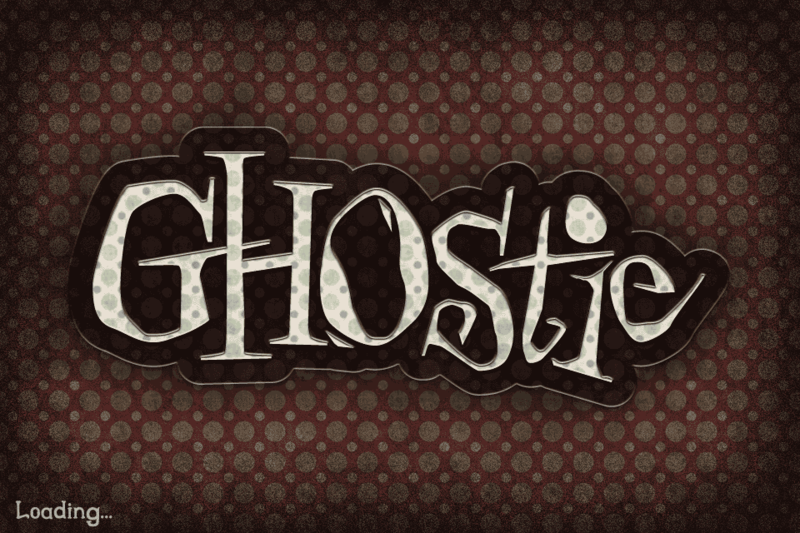 ♫ “Why do you think I call you ‘Ghostie’? 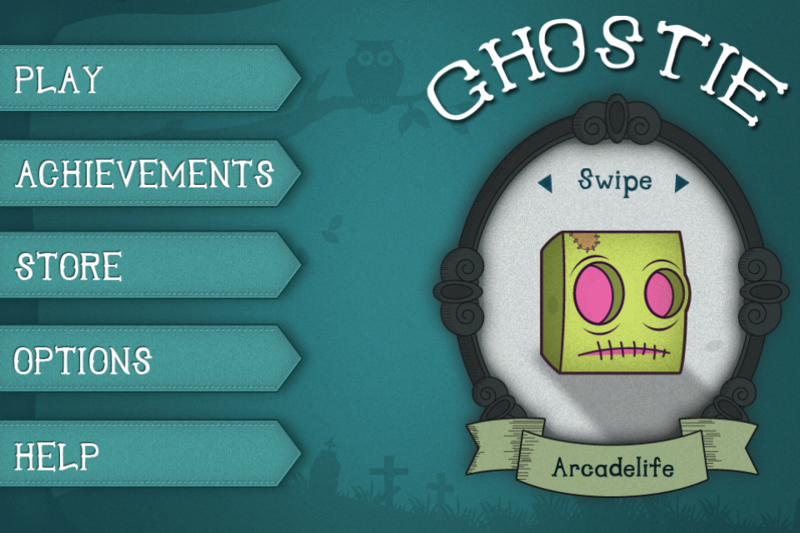 10 word description: As Ghostie – dodge obstacles, leap over pitfalls, avoid spooky surprises. 10 word review: Looks simple but it’s tough from the start. Addictive? Yes. 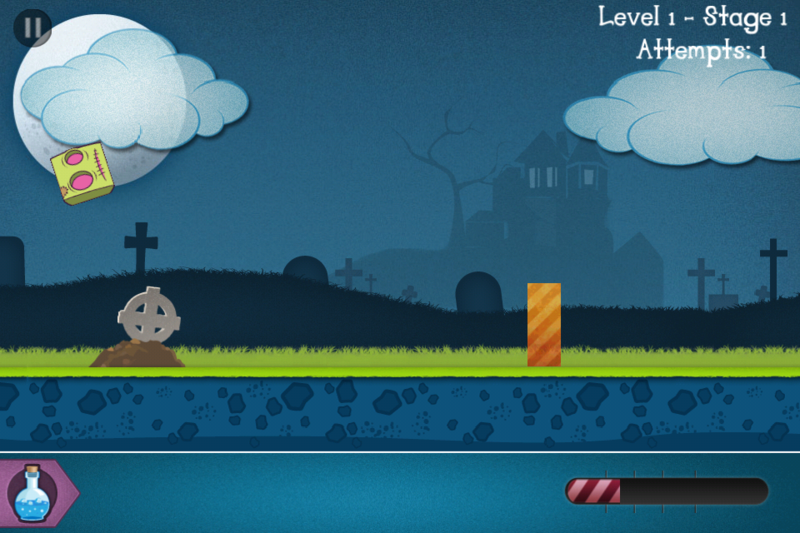 You will like this if you enjoy: Endless runner style games split into challenging stages. Simple (to control) games. Hard, non-stop jump-timing games. It’s similar to Spike Dislike, but only in a couple of ways. The good news: Simple one-tap-to-jump control method. Nice graphics. 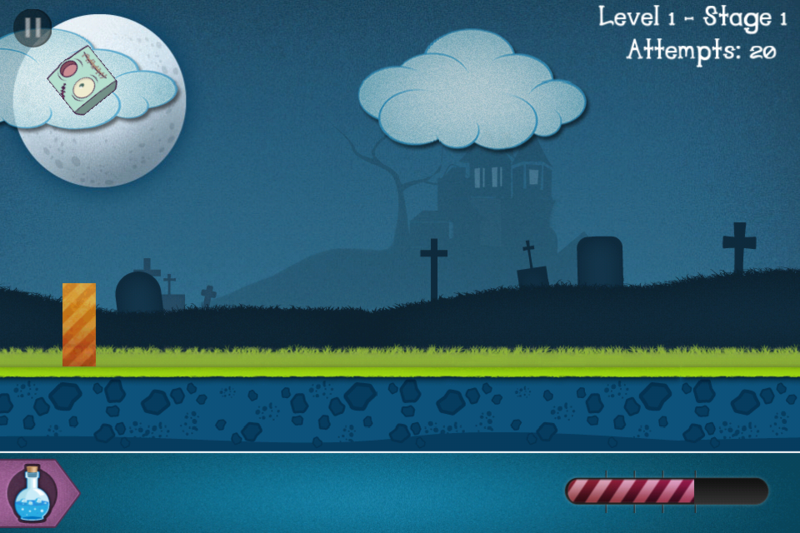 Addictive gameplay – checkpoints do a lot to reduce frustration. 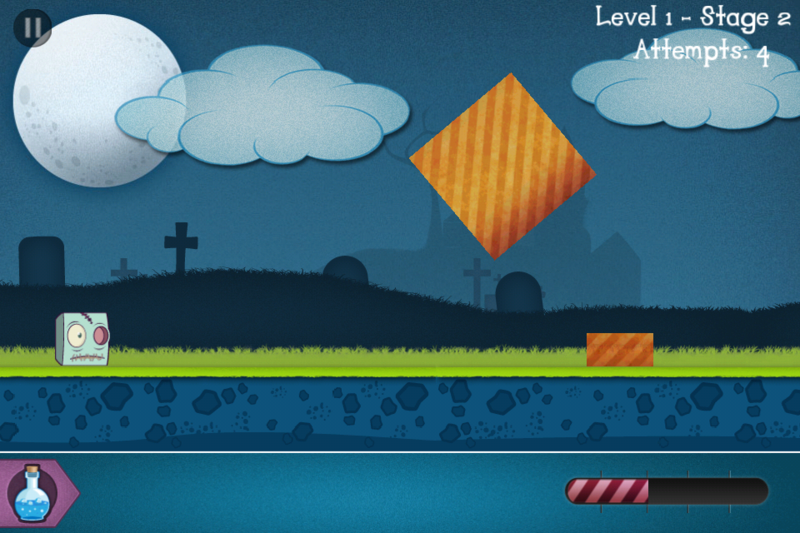 Arcadelife verdict: Here’s one to test seasoned endless-runner and jump-timing game fans. I like it; not in spite of the kick-in-the-nuts difficulty but because of it. It looks good, plays well and doesn’t give you an easy ride. Initially it’s free but, for that, you only get the very first level of the first zone. 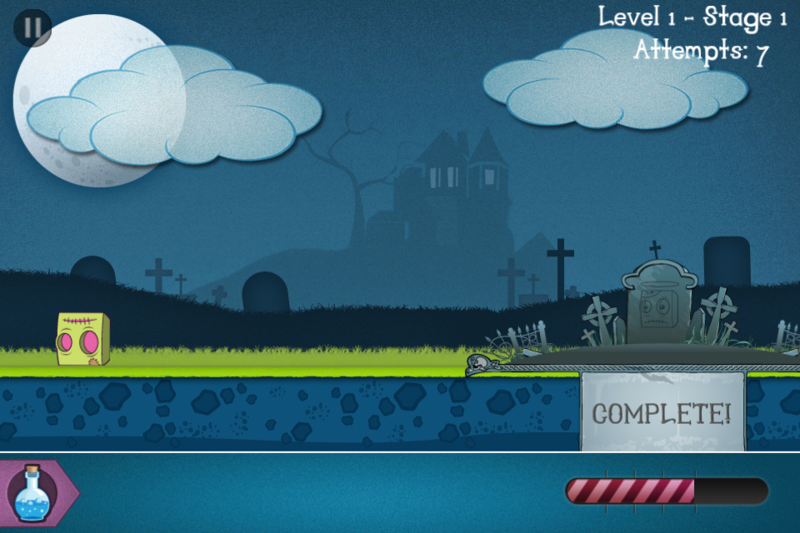 The full game is unlocked via an in-app-purchase. I went for that, because I am willing to make huge personal sacrifices in order to bring you the fullest reviews possible. And because I do like the game.